Categories: Sport Courts, Traditional Play Equipment. We will manufacture ball courts to suit your school grounds. You don’t need to have specific sizes if its just a case of separating a kick a bout area from the rest of the play ground. If you do need specific sizes we can fabricate and install to suit. This photo show the arrangement for the goal ends. 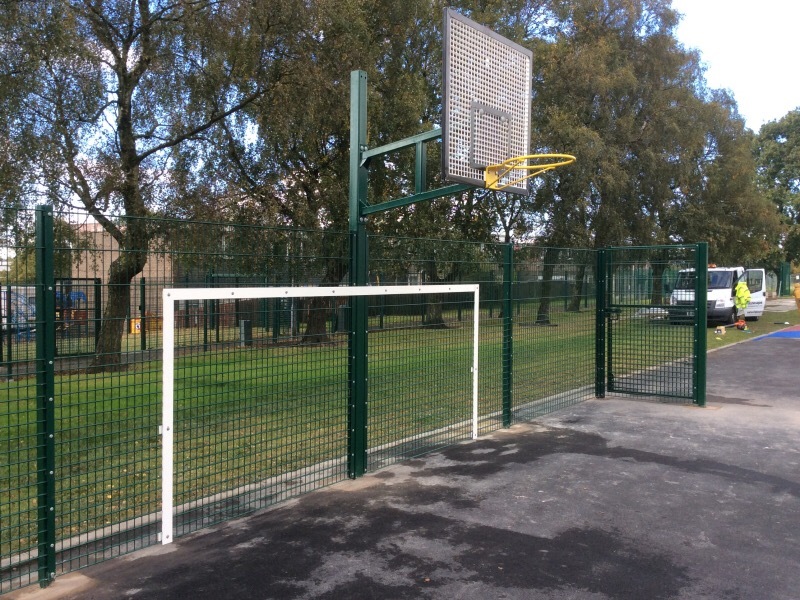 We have a goal mouth in steel and a lowered basketball hoop, all manufactured to suit your needs.